These are compatible cartridges and not genuine Brother cartridges. 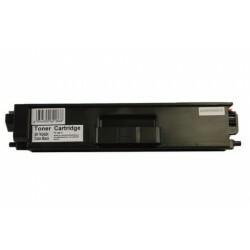 Premium Quality Compatible Brother Laser Toner Cartridges 1 Cyan Brothe.. Premium Quality Compatible Brother Laser Toner Cartridges 1 Magenta Bro.. Premium Quality Compatible Brother Laser Toner Cartridges 1 Yellow Brot.. Premium Quality Compatible Brother Laser Toner Cartridges 1 Black Broth..